There are many interesting and varied trails for walkers in the area. 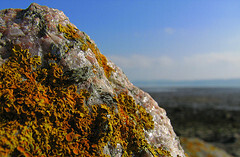 Some offer a relaxing stroll along a river or loch while others offer a more strenuous walk to a splendid viewpoint. For the real enthusiast, there are many Munros and Corbetts within easy driving distance including those of the renowned Crianlarich and Glencoe areas. Excellent colour maps with guide notes for six local walks on rights of way are contained in a 2001 publication by Comrie Community Council. It is available from some local shops in Comrie and from the Tourist Information Centre in Crieff (Tel: 01764 652578) price £2. 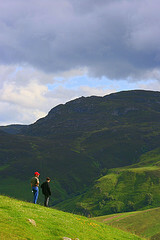 The walks range from 2 to 6 miles, starting from the centre of Comrie village. It is beautifully illustrated and makes a good souvenir of your visit. One of the walks covered is the Glenlednock Circular Walk, which starts in the centre of Comrie and takes in the spectacular “Deils Cauldron” waterfall and pool making a pleasant 2-3 hour walk at family pace. For the more adventurous a more challenging day’s walking can take you from Glen Lednock over the mountain to Loch Tay. There are also short, flat 30 minute walks starting at Bennybeg just outside Crieff close to the Ceramic Experience and Garden Centre tea-rooms there. This walk starts alongside the River Earn where an abundance of water lilies grow and returns via a natural rock face where climbers hone their skills. From Crieff one of the most popular routes is Lady Mary’s Walkwhich is wheelchair friendly and starts at the lower end of MacRosty Public Park. It goes along woodland tracks over the now disused Crieff to Lochearnhead railway track to join the walk along the river Earn. The area is wonderful for wildlife. Trout or salmon can be seen rising in the river and herons are frequent visitors. There is a sandy area at the river, where paddling is very cooling to the feet!. Another popular Crieff walk is to the top of the Knock where the view is spectacular. An indicator covers the Strathearn valley, and names mountains near and far. The walk takes you through mixed woodland where red squirrels still thrive. There are many paths over the Knock and your walk can be planned to be long or short, strenuous or gentle. Suitable for the family, the Maam Walk some 4 miles to the east of Comrie. This follows an old cattle droving route. The route leaves the road and quickly takes you to woodland areas where an old graveyard of the Dundas family provides a little history. At this point the terrain is wooded and deer are frequently seen. The walk then levels out skirting the hamlet of Dunira and passes through some farmland where sheep and cattle graze before climbing again, past the Melville monument and back into Comrie. Comrie Croft Hostel has a couple of nice walking trails that locals and visitors are welcome to use – Nice varied walking, very scenic 1-2 hours. A scenic drive through the Sma’ Glen with its picnic areas and good walking will take you across to Dunkeld where The Hermitage has very pleasant woodland walking, including a spectacular folly overlooking the waterfall. Close-by stands the tallest tree in Scotland. Or you can choose the forestry track from the car park and take a longer uphill walk. The Birnam Oak, as featured in Shakespeare’s ‘Scottish Play’ Macbeth, can be visited on a short stroll into Birnam Wood. 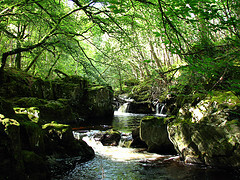 The Birks of Aberfeldy are also accessed via Crieff and the Sma’ Glen, where the scenery is truly highland. This circular walk follows the Moness Burn and at the highest point at the falls of Moness, a bridge takes you to the opposite bank for the return journey. There are many viewpoints along this energetic walk and you can sit on the seat where Robert Burns sat and was inspired to write his poem in praise of The Birks. Aberfeldy also boasts a very pleasant public park with enjoyable riverside strolling and children’s play area, as well as a working flour mill. The Falls of Bruar walk lies off the A9 behind the House of Bruar, and is probably one of Scotland’s finest wild landscapes. The walk was substantially improved in the 18th Century by the planting of the woods which make it so attractive today. (Robert Burns also visited here and was inspired by the falls to pen a poem in 1787 requesting the Duke of Atholl to plant its bank with trees). After climbing to the falls, the House of Bruar has a lovely restaurant where you can enjoy a well earned refreshment or browse in the shop or garden centre. The Tarmachan Ridge and Ben Lawers are located just about 25 miles away at Killin and provide challenging winter and summer walking. If you are looking for help on walking in the area, take a look at Breathing Space Outdoors(external link).